November 29, 2017, 8:47 a.m. Here in Britain, personality is by far the most important attribute. 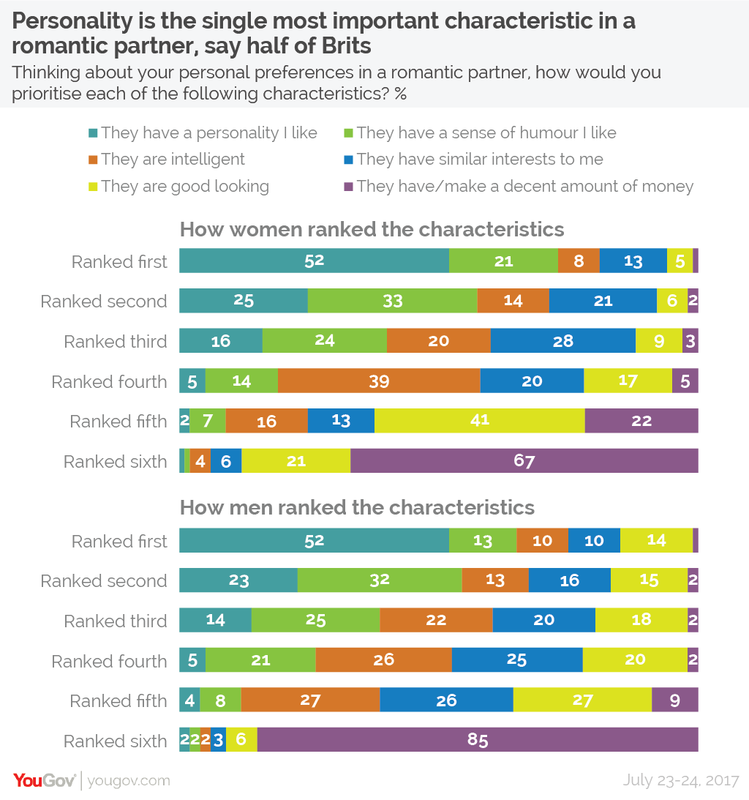 Among both men and women, 52% rank having "a personality I like” as the characteristic they prioritise most highly in a romantic partner (and a further 23-25% rank it as the second most important). Sense of humour comes next, with a third of both men and women (32% and 33% respectively) ranking it second (along with the 21% of women and 13% of men who rank it first). 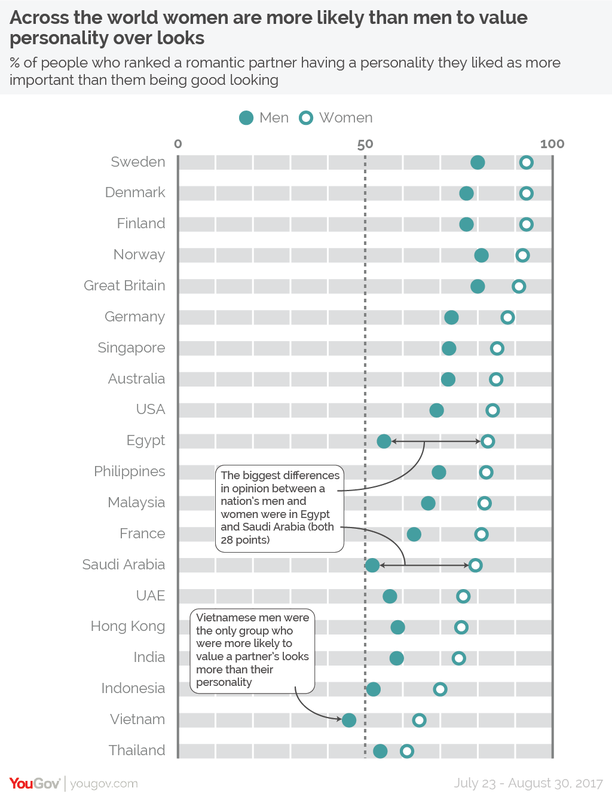 Men and women differ most on the importance of looks, as British men place a noticeably higher stock than women in a partner’s phsyical appearance. While 47% of men rank good looks in their top three priorities, this figure is just 20% for women. The battle between looks and personality is a classic dating dilemma, and the research shows that Britons overwhelmingly come down on the side of personality. Nine in ten (91%) British women rank personality as more important than good looks, as well as eight in ten (80%) men. All of the surveys were conducted online, and in many of the countries the internet penetration is low to the point where the sample can only be said to be representative to the online population. The countries where the online population is lower than 60% of the total are Egypt, India, Indonesia, Philippines, Saudi Arabia, Thailand and Vietnam.